Cellular environment is a disorganized space, where the movement and quantity of proteins and molecules are found to be in continuous instability. The performance of a cell can be discovered by predicting the fluctuating depth of a process or protein. These predictions are difficult to pinpoint in the open system of a cell, where everything can appear in a chaotic manner. MIT physicists have proven that at least one factor can set a bound or limit on the fluctuations (energy) of a specified process or protein. As per the laws of thermodynamics, if the amount of energy is spent or dissipated by a cell the fluctuations in the quantity of a given protein must fall within a certain range, and fluctuations that fall beyond this range would be considered impossible. This concept also works in the reverse direction. For example, if fluctuations are present in the rotation rate of a motor protein, the minimum amount of energy used up by the cell to power that rotation can be established. This ends up being a very powerful, general statement about what is physically possible, or what is not physically possible, in a microscopic system. 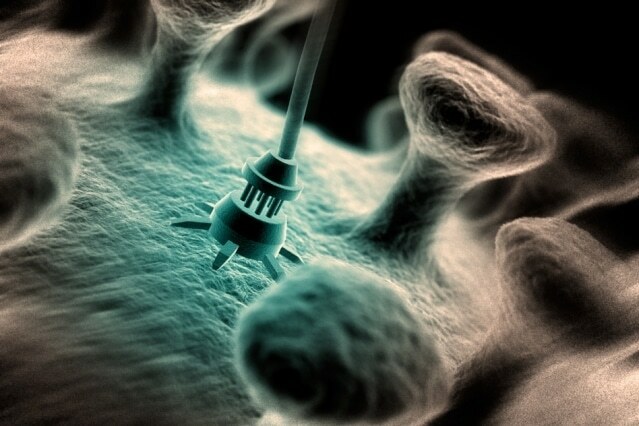 It’s also a generally applicable design constraint for the architecture of anything you want to make at the nanoscale. For example, a better understanding of how microscopic and energy fluctuations relate with one another would help to develop better nanomachines for various applications, such as fuel cell technology, drug delivery, etc. These nanoscale artificial machines are specifically developed to imitate the motor-like behavior of a molecule, however it has been difficult to make them perform consistently at the nanoscale. This is a general proof that shows that how much energy you feed the system is related in a quantitative way to how reliable you’ve made it. Having this constraint immediately gives you intuition, and a sort of road-ready yardstick to hold up to whatever it is you’re trying to design, to see if it’s feasible, and to direct it toward things that are feasible. England and his research team, which included Physics of Living Systems Fellow Todd Gingrich, graduate student Nikolay Perunov and postdoc Jordan Horowitz, reported the results of their study in the Physical Review Letters journal. The work was inspired by research published by German scientists last summer. The team believed that fluctuations in specific microscopic processes can be shaped or controlled by the energy dissipation of a cell. This study only dealt with the usual fluctuations. England and his research team speculated if the same outcomes can be applied to include unusual, freak instances, for example, a spontaneous temporary spike in the protein quantity of a cell. Initially the research team began with a general master equation, a kind of model that elucidates the movement of tiny systems, whether in the directional or number rotation for a specified protein. Next a large deviation theory was used, a mathematical approach used to establish the probability distributions of processes that take place over an extended time period. This provides a way to assess how a rotating protein and other similar microscopic system are likely to behave. The researchers finally determined the way the system fluctuates over an extended period of time, for example, how many times a protein rotates in a clockwise direction against the counterclockwise direction. Eventually, a probability distribution for these fluctuations was developed. This probability distribution exhibited a general form, which could then be limited or bounded through a basic mathematical expression. In order to apply to the fluctuations seen in microscopic systems, this mathematical expression was converted into thermodynamic terms. It was observed that the bound or limit is merely the energy dissipation. To put it simply, the way cells and other microscopic system fluctuate is limited by the energy introduced within the system. We have in mind trying to make some sense of molecular systems. What this proof tells us is, even without observing every single feature, by measuring the amount of energy lost from the system to the environment, it teaches us and limits the set of possibilities of what could be going on with the microscopic motions. The researchers observed that the minimum amount of energy needed to create a specified distribution of fluctuations is proportional to a state, which is near-equilibrium. Systems at equilibrium are at rest, without any energy entering or exiting from the system. The impact of the surrounding temperature causes movements in the system, and fluctuations in whether a given protein turns in a counterclockwise or clockwise direction are arbitrary, with an equivalent possibility of rotating in both directions. Proximal to this state of rest are near-equilibrium systems. Through a small input of energy, directional motion is produced; however, several features of the motion still arise as they do in the equilibrium state. However, a majority of living systems work far from equilibrium. This is because with a significant amount of energy that is continuously flowing in and out of a cell and other microscopic system, the fluctuations of processes and molecular proteins do not look like anything in equilibrium. Due to a lack of similarity to equilibrium, researchers found it difficult to expose the many typical features of non-equilibrium fluctuations. England and his research team have demonstrated that a comparison is still possible: fluctuations that occur far from equilibrium must be equally large as those occurring near equilibrium. According to the research team, the relationships determined in its proof can be used by scientists to understand the energy needs in specific cellular systems and also to develop artificial molecular machines that are highly reliable. One of the things that’s confusing about life is, it happens on a microscopic scale where there are a lot of processes that look pretty random. We view this proof as a signpost: Here is one thing that at least must be true, even in those extreme, far-from-equilibrium situations where life is operating. The Gordon and Betty Moore Foundation partly supported the study.